Privacy has always been a big concern when it comes to mobile phones. When we used simple java based modest we were longing for a feature that could lock our messages, contacts and photos. 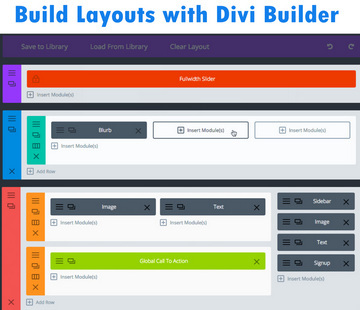 With the dawn of Android, we got blessed with lots of such locking applications, with them we can lock not only contacts, SMS or photo gallery, but also any other installed app. Smart Applock is one of the best locking applications, in my opinion, that works comprehensively and provides instant locking unlike most of the other lazy clocking apps. AppLock (the most popular locking app on Android Store) is equally advanced but the huge issue with this app is that it becomes pretty slow overtime, and it becomes unable to provide quick app locking. Both of these apps provide incoming call lock feature too. But the main issue with these privacy apps is that they provide only numeric, alpha-numeric and pattern lock features. In many cases, it is found that 4 digit pin lock and pattern lock can be easily stolen by any of your friends who sits near you. 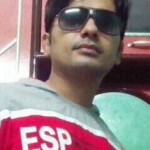 Thus your phone becomes exploitable for one who silently steals your lock code or pattern. You are ensured that your phone is private, but it is not in fact. Use of biometric Fingerpint Scanner in newly launched Android phones is increasing exponentially. The popularity of this kind of security can be measured with the thing that Google has added native support for a fingerprint scanner to the latest version of Android (Marshmallow). Google’s flagship phone Nexus 5X and Nexus 6P, both phones sport a fingerprint scanner on their front-panel home button. 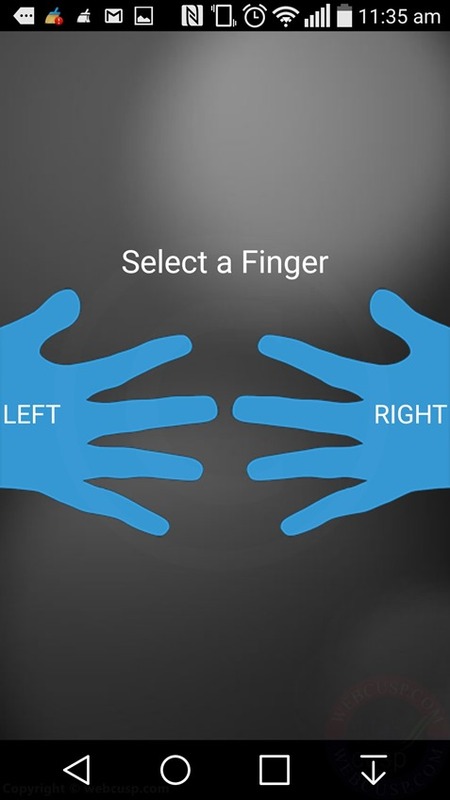 Fingerprint Appclock is a free app that uses your phone back camera to scan your fingerprint pattern. I tested the app on my phone at it worked very well. 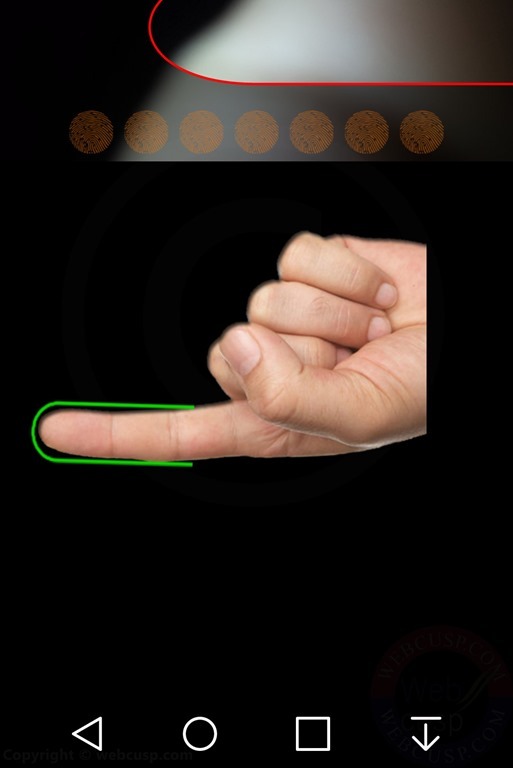 This app provides 70% accuracy for your registered finger and 100% accuracy for any other unregistered finger. In other words, no one can unlock your locked apps without your permission if you use it. Choose any one finger of 10 fingers. 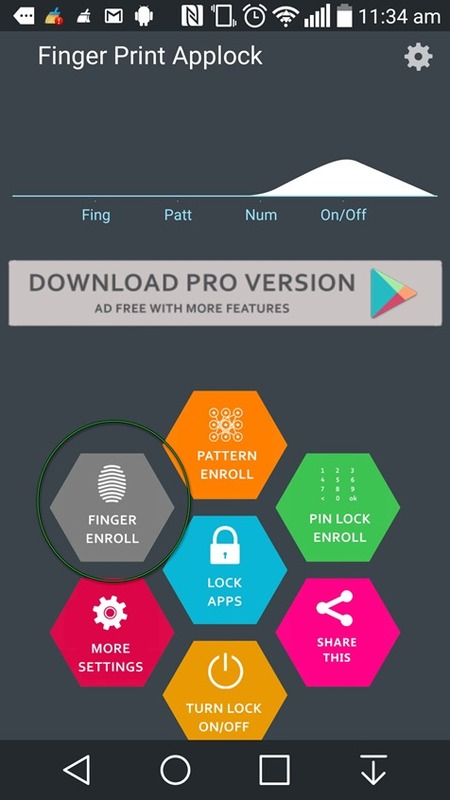 Fingeprint App Lock will scan your finger 10 times, and then it will store the pattern. You can lock phone and individual applications with the help of this application. Presently its locker is slow, and if you open a locked app, locker will appear after you seeing the locked app interface. Additionally, fingerprint scanning takes over 5 seconds. First, you need to put your finger exactly under the scanning area shown on the screen. Then camera focuses on the finger and finally Finger Print Applocker scans your fingerprint. This whole process may take up to 6-7 seconds. Putting everything aside, the developer of this app really deserves honor. He makes it possible to enable fingerprint lock in your Smartphone without having a fingerprint sensor. I hope he/she may make the app perfect in near future.